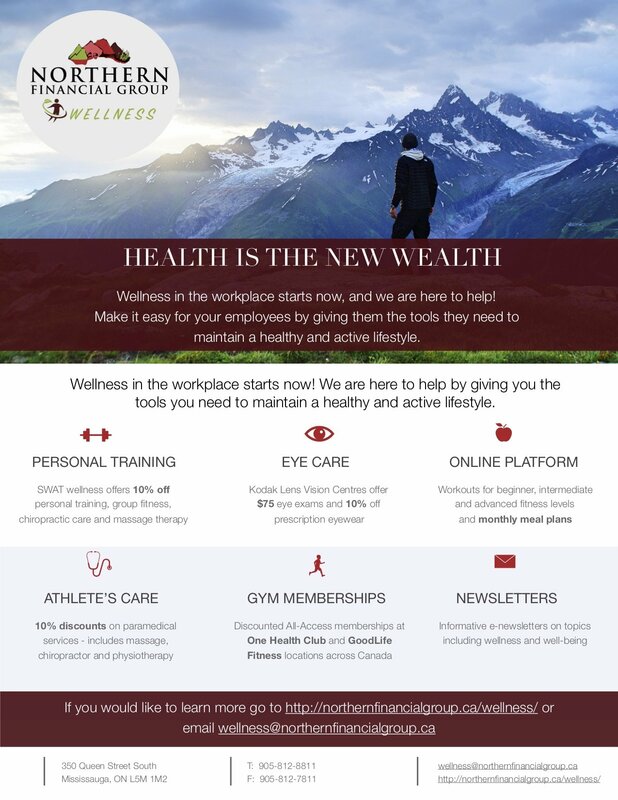 Wellness in the workplace starts now! We are here to make it easy by giving you the tools needed to maintain a healthy and active lifestyle. Weekly workouts created for every fitness level and meal plans designed specifically for you. Receive discounts at GoodLife Fitness. Discounts on eye exams and prescription eyewear. Receive discounted memberships at One Health Club. Discounts on personal training, group classes, physiotherapy etc. Informative e-newsletters on topics including exercise, nutrition, sleep, well-being and much more!